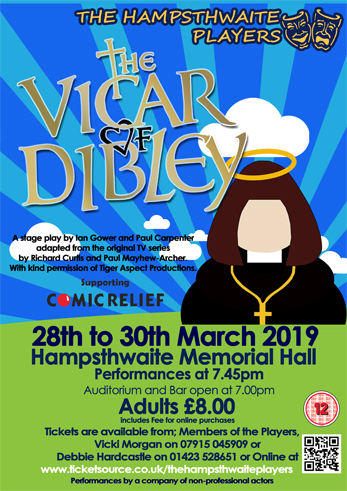 The plot of the play follows the basic storyline of the series, starting with the unexpected arrival of a new Vicar in the village of Dibley who is- shock, horror- a woman! After winning the hearts of a parish of misogynistic country folk, Gerry plays matchmaker to the quirky Alice and awkward Hugo, culminating in a truly unique wedding. A stage play by Ian Gower and Paul Carpenter adapted from the original TV series by Richard Curtis and Paul Mayhew-Archer. With kind permission of Tiger Aspect Productions.